I have a love-hate relationship with the ocean. Mostly I hate it. Because it scares me. Hey, I’ve seen JAWS. Scary things live in the ocean. Scary things with teeth. I’m not much for adventure (I’ve never had a craving for adrenaline). But I’m firmly in my 40s now, and I told myself I’d stop saying I’ll try it later and Carpe the Diem. So a few years ago, while we were in the Cayman Islands, I tried snorkeling. In the ocean. Way out in the ocean. I was surprised how much I enjoyed it. Right up until a rogue wave tossed me into a patch of razor-sharp coral I had no business swimming over. At that point, I should have resigned from snorkeling, but I got back on the horse . . . Since my brush with Freddy Kruger coral in the Caymans, I’ve been snorkeling in the Bahamas several times, without incident. Snorkeling in the Bahamas is like snorkeling in an aquarium. I’ve never been disappointed . . . or tossed into coral. Mostly because I won’t go within 5 feet (in any direction) of coral. Our trip to the Bahamas this summer was packed with snorkeling (and scuba for the boys). Our last day was no exception — we all wanted to squeeze in one more snorkeling trip. We hopped on the boat and anchored in about 7 feet of crystal-clear water near Tilloo Cay. Everyone wanted to swim with the magnificent sea turtles and sting rays we could see from the boat . . . I like sea turtles. 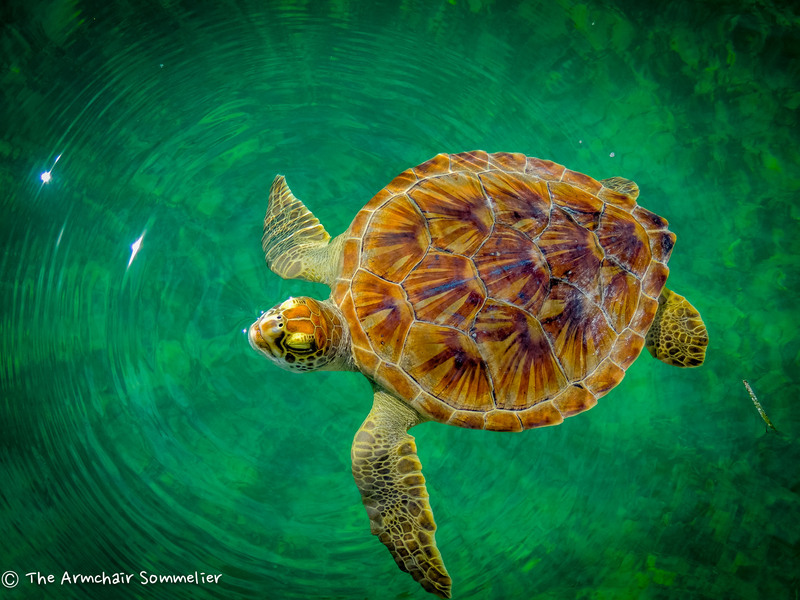 Sea turtles are nice. As usual, I was the last one out of the boat. Because I had to go through my OCD checklist. Is my mask de-fogged? Is it tight enough? Wait. Is it too tight? Is my snorkel clear? Did I remember sunscreen? Double sunscreen? Do these fins make my feet look fat? At this point, I’m a lock for “worst mom ever” because I told her to knock it off and stop acting like a 3-year old. My daughter gave me a well-deserved eye-roll and said, “Told you so!”. JAWS was under our boat. That’s not a photo of “the” shark, but it’s close. It was a smaller shark, about 3 feet long. But, I have no idea what kind of shark it was. Doesn’t matter. It was the kind with teeth. Sharks in the Bahamas are mostly limited to reef sharks and nurse sharks. Hey, I did my homework. If a great white lived within 100 miles of the Bahamas, I would have stayed in the boat. I’ve been in the water with sharks before. Mostly, they ignore you. They aren’t interested in you. So I thought to myself, knock it off and stop acting like a 3 year old. He’s not interested in you. He’ll ignore you. Just swim. So I put on my big girl bathing suit, and my daughter and I swam. And that damn fish followed us. That damn fish tried to HERD us. I’m no marine biologist, but that kind of behavior seemed, um, alarming. Luckily, I’ve seen every episode of Shark Week, so I knew exactly what to do: Panic. Girl . . . you’re in trouble now. This was a either a cranky shark or a really curious one. My daughter and I swam as fast as we could back to the boat (all the while, I’m thinking it doesn’t matter how fast we swim, Sharky can swim faster). And then . . . SpongeBobCrankyShark got up close and WAY too personal. So I punched him in the face. Read as: I flailed my arm in the direction of the gray blur moving through the water, and I happened to connect. I’m sure it looked like an Elaine Benes dance move. And I really hope it never turns up on YouTube. When Sharky tells the story, it’ll go something like this . . . I hurled my daughter into the boat, and then I flung myself into the boat. Have you ever tried to climb a boat ladder with fins on, while trying to dodge a cranky shark? Not easy. Or elegant. Then we calmly (or it might have been frantically) called everyone else back to the boat. I didn’t realize the irony until later. Hey, there’s an aggressive shark under our boat. Swim toward the boat. Everyone swam toward the boat. Don’t you just love it when people follow direction? Dads tossed six-foot tall teenage boys into the boat like Nerf footballs (not funny then, but funny now). And both my husband and our friend made fin to skin contact with Sharky before everyone got safely back into the boat. For the record, my husband says their shark kicks were spinning roundhouse kicks. And that about wraps it up for me and snorkeling. Now . . . I know you’ve all been waiting very patiently for me to get around to connecting this trouble with wine. What does this story have to do with wine? It provided the backdrop for one of the most unforgettable wines of my life — a wine that’s soldered to a memory. When we pulled into the dock, the first sentence out of my mouth was, “Who needs wine?”. Four adult hands went up. We got back to the house, and I grabbed the last bottle of wine we had: a 2004 Bodegas Ismael Arroyo Ribera del Duero Reserva Val Sotillo. We divided that bottle between 4 adults . . . and drank it as a nerve tonic. I love Ribera del Duero in all its earthy, dusty glory. But this wine tasted like safety. This wine purged the adrenaline from my body. And it will forever be known as . . . The Shark Wine. That’s awesome! 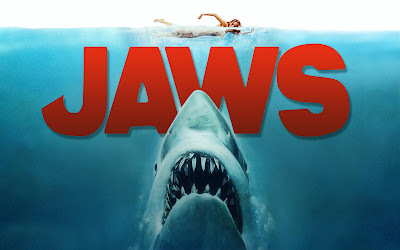 When I saw Jaws I was about 7ish…..I was afraid to swim in our swimming pool, every time I jumped in I had a panic attack that a large shark was swimming towards me and I would scramble to get out of the pool! Thank you! Water is the big unknown, isn’t it? Doesn’t seem to matter ocean or pool . . . Salud! Shark wine, cool: I gotta remember trying it out. I bet briny would be among the descriptors. But my question really is: do they sell it with an mp3 of the famous music from Jaws, when the shark is approaching? You’re really brave even going in the water and encountering a shark, I don’t care how small to me is terrifying. I love looking at the ocean but going in, no thanks, well maybe where the water meets the shore to wet my feet. Give me a pool any day. You had quite the adventure and that shark wine is aptly named. 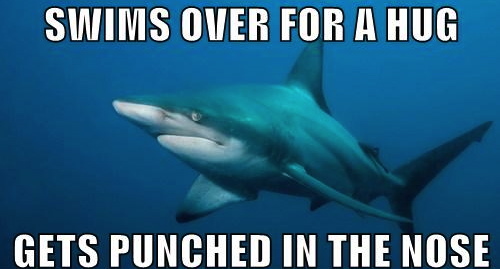 Poor little Sharky… He’s just trying to make some friends and you guys are all beating him up! I’ve never swam with sharks before – what a neat experience! Until he started trying to get fresh that is. I would need some wine after that too! I just LOVE your story – especially since it’s Shark Week on TV! I think I’ll have to carry wine in my bag when I go diving from here on one. I can’t wait to try your Shark Wine! Oh, BTW, you’ll have to switch from snorkeling to diving….divers usually refer to snorkelers as “bait”…of course my wetsuit would be, well…messy…if I ever did encounter a monster shark. Ok…gotta go have some wine now! Thanks! I think wine in the scuba bag is an excellent idea! Snorkelers = bait! Can’t wait to tell my scuba boys that one. Scuba isn’t for me . . . my son did his qualifying dives here in VA in an old flooded rock quarry in 48 degree water. NO, thanks!! That’s just a panic attack waiting to happen for me. Salud!! Sheesh! I would’ve totally pooped my pants! 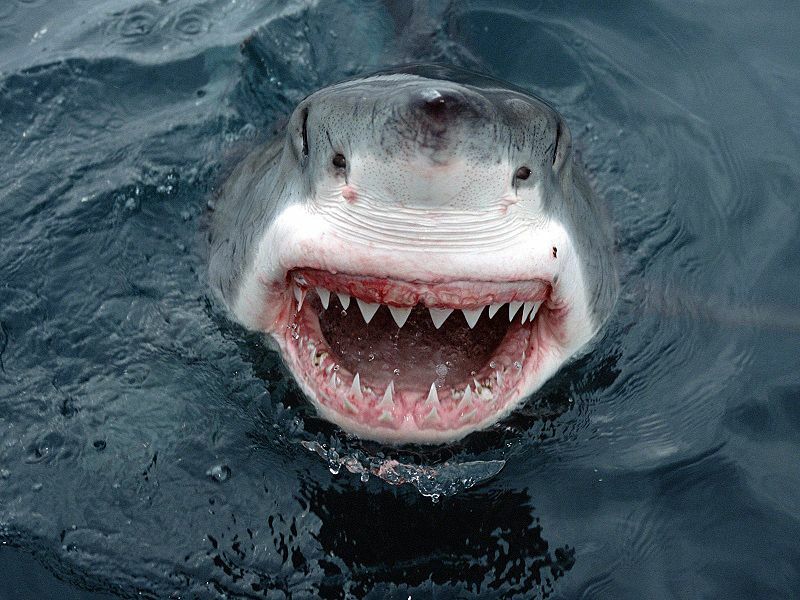 Sharks freak me out! 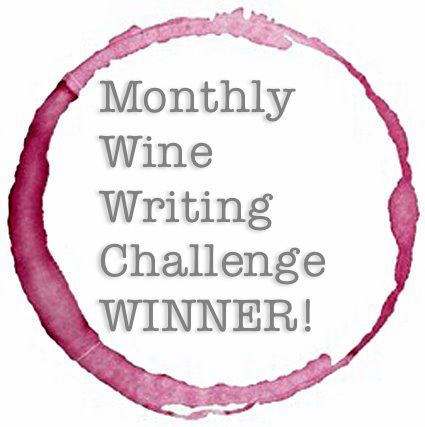 You are very brave and deserved that bottle of wine…I applaud you for sharing (the wine and the story). Can you win twice in a row? Thanks! Sharks freak me out, too . . . although I find them fascinating when I’m sitting in my living room. I’m ineligible this month . . . the voting poll will be out by next Saturday AM! Salud! I think you are going to need a bigger cellar. Very good story! I’m curious, did you have this story already in mind when you announced the theme, or you came up with it later? No . . . I was originally writing about the Trouble with Tasting Fees, but I got bored with my own writing, so I dove off on a tangent. Still wrestling with tasting fees, I can’t seem to find a position on them. Salud! Exactly. On one hand, I sympathize with the wineries. They have to do something to balance the armies of folks who come out to the winery for the sole purpose of getting drunk for free. But on the other hand, it feels like the fees keep inching upward toward ridiculous. It’s a good thing tasting fees isn’t part of a political platform, because I keep waffling on the issue. Maybe I’ll keep writing that post . . . see what everyone else thinks. 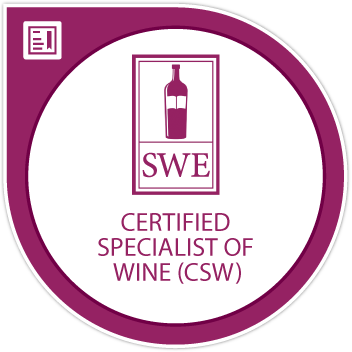 It would be interesting to see some comments from the wineries on that, but I don’t think they will side with us, the bloggers and wine geeks : ). My only solution is to “call ahead” and get in touch with social media folks at the winery to get a “comp” full tasting (I also like to taste the library releases etc.) – doesn’t work every time, but works often enough. I ranted on this a few months ago and it turned out to be one of my more commented upon posts. Like Anatoli, I call ahead (usually) and play the wine blogger card. Most of the time it works, but when it doesn’t, I just move on. Every winery I visit I plan on writing about (although it does not always happen) and that takes a huge hunk of time. I figure I “earn” the tasting fee. As for the non-blogger public, I feel for them, but they do not seem to mind all that much…. So do you guys just say, “hey, I’m a wine blogger” and they comp you, or do you have to ask them to comp you? I’ve never tried that approach . . .
What a fantastic and compelling story! I love snorkeling, but after reading this, I may never do again, either! Thanks! Don’t let Cranky Shark steer you away . . . I think he was rogue, anyway!! So many colorful fishies to see out there!! Salud! Ah, but you should have had the wine with a little Mahi Mahi for dinner! You know, just to remind them who is in charge…. Thanks, Oliver! Hope your trip is going well . . . Prost! !